It’s never too late to give back. Take a break from cleaning your mesa mobile homes and give back to your community. Working on community service projects is a great way to stay involved in the growing mesa mobile home parks. There are so many great opportunities right here in Mesa. Here are a few ways you can get involved! 1. Join a clean-up. Clean up a local park or nature reserve. 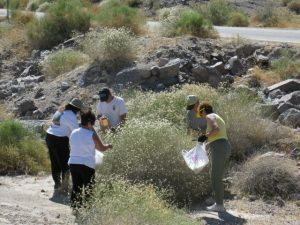 Pick up trash and other things that may be harmful to Arizona wildlife. This could be a great way to get outside and really enjoy some of Mesa’s natural beauty. 2. Make some care packages. This is something you can do anywhere. US troops everywhere appreciate care packages, whether you send toiletries, food, or knit camo scarves. Sending care packages overseas is a great way to show patriotic support and give back to the men and women that protect our freedom every day. 3. Plant a garden. If you have already established a garden within your Mesa mobile home parks it is time to take your green thumb over to a local park. Bring life back to a Mesa community with a new garden or plant new trees that future generations can enjoy. 4. Mesa mobile homes canned food drive. If you are unable to go out and volunteer simply collect canned foods for the hungry from home. This will be a great way for all of your neighbors to give back as well. There are countless ways you can give back so get started today!